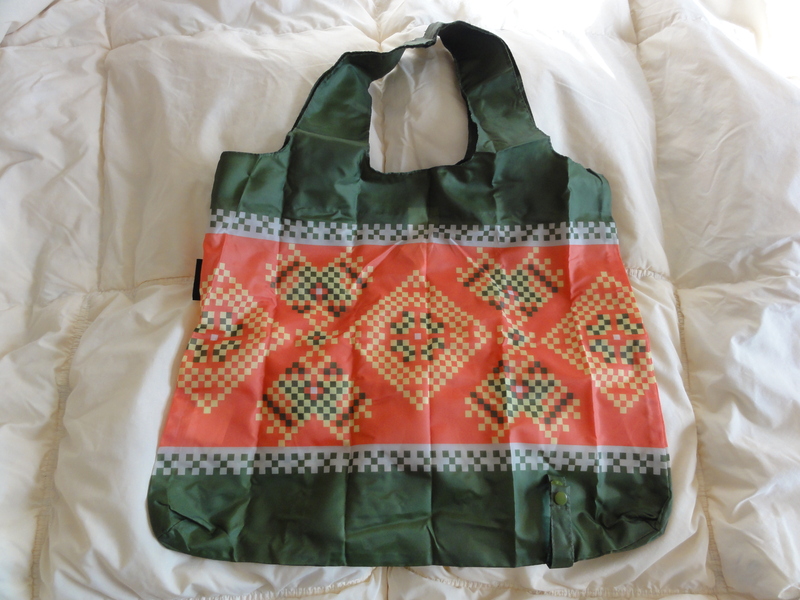 We’ve highlighted charity shopping bags before on this site dating back to 2007 when we highlighted the FEED Bag. As people become more environmentally conscious, they’re getting into the habit of eschewing the paper or plastic at the grocery store or drug store and bringing their own bags. This saves landfills from being polluted, and saves you from having to deal with disposing of the bags. Since then, there’s been a veritable explosion of companies introducing their own versions of reusable shopping bags. But too often, reusable shopping bags are mass produced and really, really ugly. In some cases, they’re so cheaply made that they get thrown away, ironically resulting in even more waste. The New York Times even reported that some bags made in China contained lead. Not cool. I was really happy to hear from a company called Envirosax. Here’s a company that really, really gets it on a lot of levels. It was founded in 2004 by Belinda Coker and now sells bags all over the world. The concept is a simple one: they produce reusable bags that are strong, environmentally friendly (not just in their use but in their manufacturing as well), fashionable and FUN. All at a very affordable price point. Unlike your run-of-the-mill reusable shopping bags, these bags are really beautiful and make a fashion statement, despite being. If you look at the designs at Envirosax.com, you’ll see a beautiful range of designs and colors, as well as some licensed characters (the Sesame Street bags are super-cute, and a great way to help educate kids about conservation). The bags are available in high-end retail stores from Bloomingdales to Neiman Marcus to Saks Fifth Avenue (you can also find a selection on Amazon ). I had the chance to try out a sample bag. The bag arrived folded into a compact little bundle about the size of a deck of cards, which fits easily into a purse or even a pants pocket (very convenient when going grocery shopping). 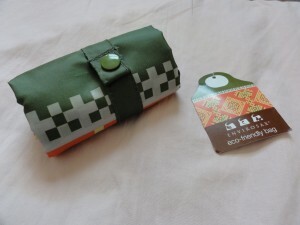 The material is similar to material you find on the outside of an umbrella (in fact, they are water resistant), as is the snap button that holds the bundle together. Unfolding it revealed a beautiful bag. While the material is lightweight, it’s really, really strong. I was able to put about 30 pounds of groceries in mine with no problem (the label says that it’s tested for up to 44 pounds). The material is easily washable, and the design doesn’t fade when you wash it. Unlike other companies that mass produce cheap bags, Envirosax is a eco-friendly (and safe) company, from the manufacturing of their bags (using water-based sublimation printing which is better for the environemnt) to working with manufacturers to ensure that fair trade and sustainability principles are met, to ensuring that its products are free from lead and toxic chemicals. The concept has really caught on. It’s not uncommon to see celebrities from Justin Timberlake to Jessica Alba to Jennifer Garner to Naomi Watts sporting the bags. Funny thing is, these things are really cheap (each bag costs under $10), but they really make a fashion statement just as much as any $400 dress or purse makes. More importantly, they also serve as a reminder to us all to take care of our planet. Envirosax takes this message a step further. A percentage of all sales goes to three conservation charities located in three of the main countries Envirosax has offices: The Surfrider Foundation USA (protecting oceans, waterways, and beaches in the US), The Australian Marine Conservation Society (protecting marine environments in Australia), and The Royal Forest and Birth Society of New Zealand (protecting native plants, animals, and wild places on land and sea in New Zealand). Not only do these bags make good shopping bags, they also make a great substitute for gift wrap. Instead of paper which will be used one time and then torn to shreds, why not “wrap” your gift in one of these reusable bags? Wow, Envirosax is offering fashionable reusable grocery bags.